The woods seem a peaceful place at first, yet their swaying trees hide beasts, bandits, and more. Protection when roaming the wild lands is a must, and this Woodland Ranger Leather Armour provides just that! Hand crafted from fine 7/8 oz. 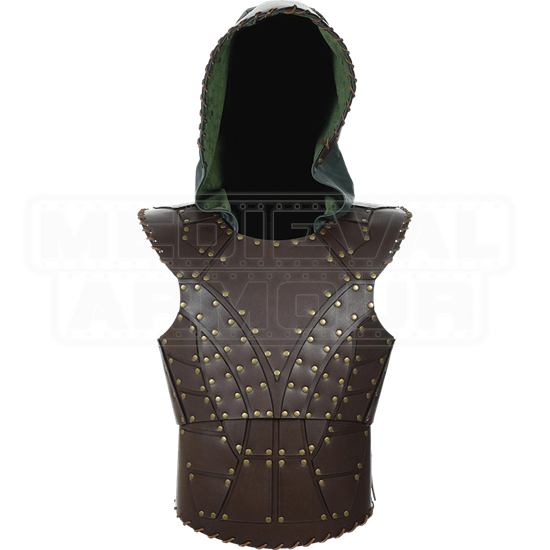 leather, this cuirass is double-layered with stylized plating along the core. The design ensures flexibility, which keeps a warrior mobile. The rich brown leather blends with woodland tones, while the green hood adds an attractive pop of color that will hide your features and help you blend in with your surroundings. A pair of frogs is attached at the back, ensuring that a rangers weapon is never far out of reach. 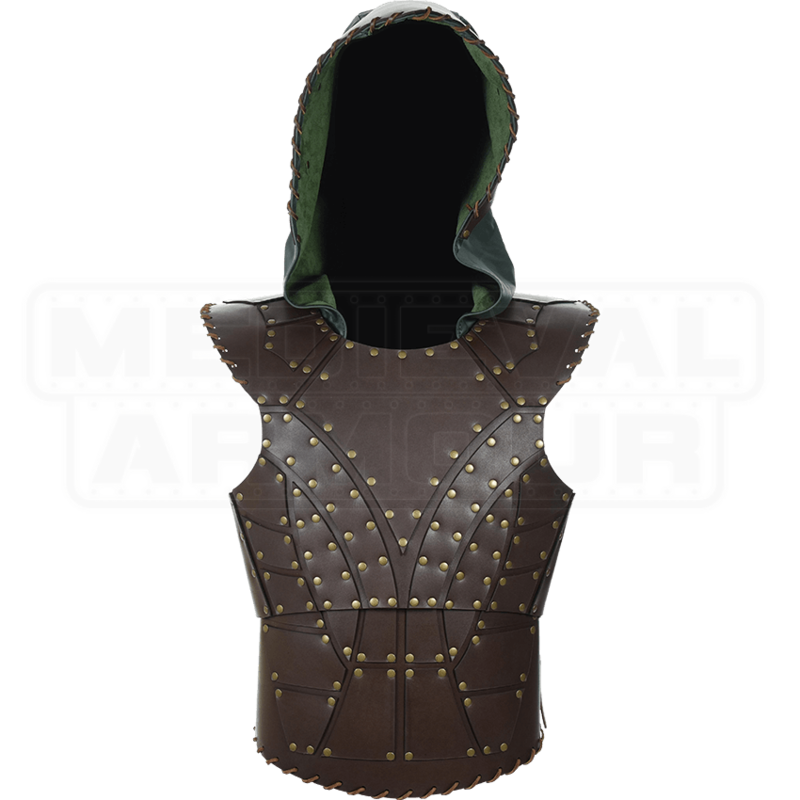 Durable, supple, and surprisingly comfortable, this Woodland Ranger Leather Armour is perfect for a variety of tasks, whether you're LARPing, doing some light reenacting, wandering the local fair, or trying to defend your local woodland realm.